So I have a confession to make... I went for a slimming session the other day! Stop telling me I'm skinny, guys. I need to slim down too! The strip I just showed you is a medical grade Polishing Strip. And yes, it is made of metal. It is the thing dentists use for Interproximal Reduction or IPR as a quick and easy procedure to change the size and shape of my teeth. It is also known as slimming, stripping or enamel reduction. BOO. 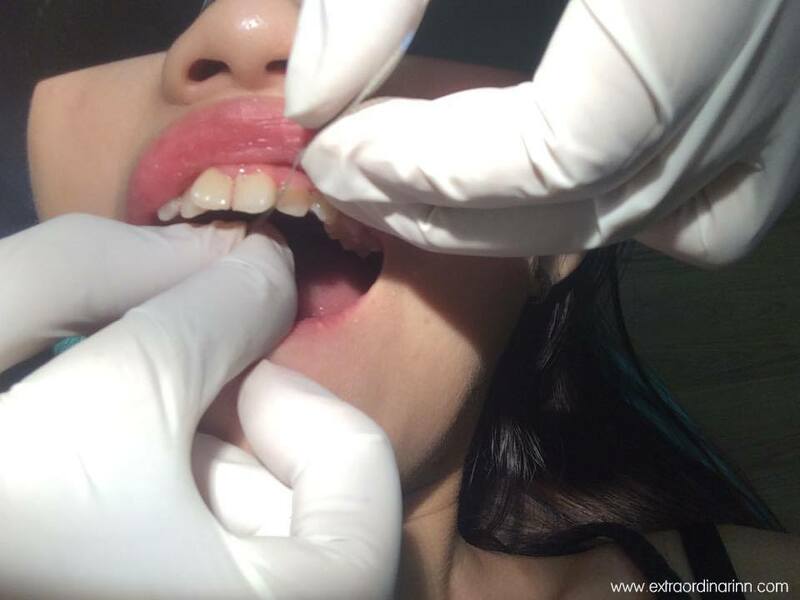 Don't be shocked by these super unglam photos of me XD Remember when I said that I do not have to get any extractions done, but will require teeth slimming for my wide teeth instead? (if you didn't know, read here) Basically, what the orthodontist does is just shave off the minimal amount of enamel from the sides of my teeth to give it some space to move. And Dr Matthew said that he will be doing a little bit of stripping on top of teeth cleaning for me every time I visit to make sure the teeth is moving well. This is sort of a traditional method, I honestly thought he would use a machine or lasers for the slimming XD For the 'tougher' teeth though, he says a machine will be used and I can't wait for that! The Polishing Strip basically acts as a 'sandpaper' for my teeth. The orthodontist wedges it in between my teeth and uses a 'flossing' motion to move it back and forth to 'shave' my teeth. The holes on the strip are what causes the friction. There is a lot of friction at first, but the polishing gets better after some enamel are reduced. Not gonna lie, it feels quite uncomfortable and foreign to me. For those who don't like the feeling or sound of teeth grinding, you'd definitely not like this haha. Can't imagine that I have to go through it every visit, just to get that 0.2 - 0.5mm off each tooth XD (see my ClinCheck report here) But I'll get used to it. Actually in this photo, you can already kinda see a small gap in between my two front teeth. Don't worry, Dr Matthew is very gentle and careful so there was no bleeding. That's it for this very short & sweet post! Hope it's still quite interesting, cos it was interesting enough for me. The whole visit only took 20 - 30 minutes, that's how fast it is to get IPR. I did ask Dr Matthew if I needed to add back the attachments that have fallen off and also my bottom attachments but he says that it might be too much force on my teeth so let's not push it first. Haha. A lot of people have been asking me if my teeth look straighter yet and honestly, the only thing I feel is that my bite is off. Hopefully with this IPR, I'll start to see some progress on my teeth soon! 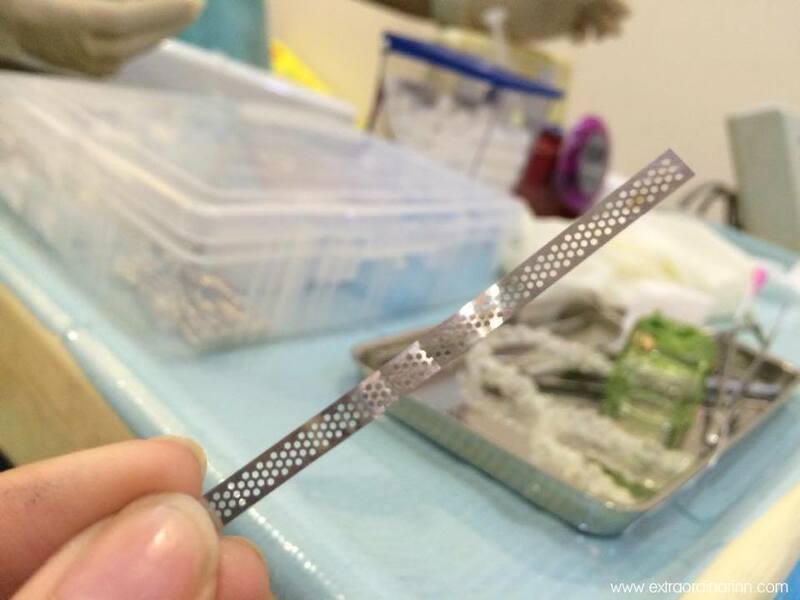 OMG, the long strips will cut patients' lip and gum! Are they or (you) still using the long strips? Visit here and use safe and efficient ContacEZ InterProximal Reduction(IPR) Strip System!